February 28, 2016 marks the 15th anniversary of the Nisqually Earthquake. I have some vivid memories of that day, but the primary value in looking backward is to assess how far we have come, and how far we have yet to go, to be prepared for that BIG ONE people inevitably focus on. When February 28 dawned, there were other matters that seemed certain to occupy the attention of the public, the media and my emergency management team. The night before, Seattle’s” Fat Tuesday” event in Pioneer Square had erupted into a full scale riot, leaving one innocent young man fatally injured and major property damage to that section of the downtown. In the immediate aftermath of the riot, media attention was focused on the police department’s actions, or inaction, on that night and the extent of the Mayor’s involvement or lack thereof. For my part, February 28’s “main event” was to be the celebration of three years of an earthquake mitigation program, Seattle Project Impact (SPI). In 1998 Seattle was chosen by FEMA as one of seven jurisdictions to pilot-test the proposition that public and private collaboration on disaster mitigation could make communities safer. Led by Seattle Emergency Management, funded (@ $1 Million) by FEMA, our group had reason to celebrate. A large coalition of businesses, business associations, local, state and federal government agencies, private companies, and academicians had created a series of innovative projects based upon a common objective: making Seattle safer. We had collaborated on a home retrofit initiative which trained contractors and homeowners in the mechanics of retrofitting residential homes, and a school retrofit program which culminated in making 46 Seattle School District facilities more disaster resistant (more on that below). And our engagement with altruistic personnel with the US Geological Survey (USGS) was by then well on its way to providing the most sophisticated landslide and seismic hazard maps anywhere in the country. A fourth initiative that remained under development but was finally completed a few years later was a disaster resistant toolkit package for small business resilience planning. Observing the success of Seattle Project Impact seemed the most important thing that was on tap that day. At 10:54 A. M. several members of my staff and I were at the site of the scheduled festivities. The tables were set up; we were awaiting the arrival of the catered lunch and the arrival of many of our Project Impact team when the ground motion began. We took cover and held on, mostly under the tables we had just set up. After the shaking subsided my staff helped a day care evacuate from the building. Leaving some of my staff there to assist the day care providers with about twenty shaken children, my office manager and I returned to the Emergency Operations Center, located then in the Denny Regrade. The rest of the emergency management staff already had activated the EOC, and had begun assessing our situation. Our comprehensive plan was used, and it survived contact with the reality of the event. The outcome: one death was attributed to the earthquake. An estimated three hundred injuries were reported. As the day wore on it was apparent that we had dodged a bullet (if memory serves, the ground motion lasted for about 45-50 seconds; scientists later asserted that another 12 seconds of ground motion might have damaged bridges and caused more extensive damage to some buildings, and of course more casualties). At SeaTac airport, there might have been significant impacts as the control tower was damaged but the air traffic controllers were able to avert a potential tragedy. Emergency management teams from many jurisdictions communicated with each other, offered assistance if needed, and shared damage reports; the state Emergency Management Division performed impeccably. Over a longer period of time we did learn that the earthquake was an economic disaster. Some businesses were hurt badly, and with some it took months to determine the full impact on their operations. A large number ultimately failed. Ironically newly elected Vice President Cheney chose that very morning to announce that the national Project Impact initiative would be discontinued because it had been a “boondoggle”, contributing nothing to public safety. His assertions were challenged by Senator Patty Murray because she had toured the school and the classroom holding 30 third graders that had been spared from major damage and likely serious injury or worse because of mitigation efforts of SPI. The decision by the new Administration had little immediate effect on SPI; I had committed to support the initiative post grant funding, but nationally a non- partisan, effective, team –building concept was defunded by an Administration that was determined to eliminate any program of the preceding Administration. And this chillingly foretold the near destruction of FEMA over the next five years until the Katrina debacle forced a change in direction nationally. In the days after the Nisqually Earthquake Seattle EM organized a day long counseling and “mental health” seminar at the Seattle Center, initiated the FEMA Public Assistance program and described and directed citizens to the federal Individual Assistance process, with FEMA and Small Business Administration representatives (also key supporters of Seattle Project Impact) present in force. FEMA’s new leaders dispatched Community Relations personnel from other parts of the country. Unfamiliar with earthquake damage issues, they were singularly unhelpful and provided enormous problems which we and the state EMD labored mightily to resolve. Post Nisqually, in addition to accelerating our series of community education workshops around the city Seattle EMD did write and publish an After Action Report and launched a city government oriented Improvement Action process: we identified 98 issues that we as a government needed to address. Assignments of responsibility were made. 96 of the items referenced were resolved within an 18 month period. And the two unresolved issues? The City’s economic development office was assigned by the Mayor to push for federal funding to shore up or replace the Alaskan Way Viaduct and repair the Sea Wall (which was, as I recall, the property and sole responsibility of the Seattle Parks Department). Fifteen years later and counting, guess what? The economic development folks and the high rollers in our business community at least did get a nice tour of the East Wing of the White House. They received zero aid beyond the traditional FEMA programs. And, finally, to reflect on the media reaction: A daily newspaper published a list of earthquake preparedness tips without checking with our local (and national) expert, LuAn Johnson, and refused to issue a correction. The print and broadcast media moved on to other things as the “news” value of Nisqually waned. I was asked by a reporter after Nisqually whether we had been too preoccupied with terrorism to prepare for the earthquake hazard, only to be asked after 9/11 if we had been too focused on the earthquake hazard to prepare adequately for a terror event! A strange question: Seattle Emergency Management’s actions during each event were highly praised by other participants. Are we any better prepared, 15 years later? I do not worry that no one is trying: on the contrary local emergency managers, the state emergency management division, and the federal government have extensive programs and web sites available. The spirit of coordination and collaboration is excellent. Very modern technology allows the dispatch of information to individual citizens of potential hazards, ongoing threats and developing situations that can keep people informed. What we are still missing is an ongoing dialogue with our citizens, making sure that they understand their obligations to be as prepared as they can, and to be in a position to extend assistance to their fellow citizens if at all possible. Citizens need to be challenged and supported to be more engaged with government as a means of increasing their own safety, and they need to know in advance where to go to acquire credible information, and disregard “information” that is lacking in credibility. I do worry that disaster exercises often emphasize making sure that everything looks good to the executive and his/her staff (since most only pay close attention for the brief period in which the exercise is conducted). Any exercise that results in an “everything went pretty well, no issues” report tells me that that was a bad exercise, or an inaccurate report. We can always be better. Another reason I worry: Some State legislators persist in berating emergency managers and other leaders, disrupting large planning meetings and wasting precious State Senate hearing time with stream of consciousness ramblings, instead of asking subject matter experts how they could better support preparedness at all levels, and then (silently?) do so. Instead, they appear to only want to listen to themselves while displaying comprehensively their lack of knowledge. 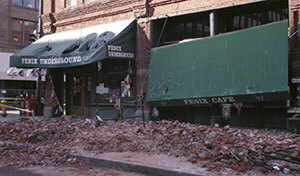 The Nisqually Earthquake experience, coupled with Project Impact’s success in averting a tragedy in an elementary school, reinforced my belief that taking measures like retrofitting of schools, securing residential homes to their foundations, and emphasizing non-structural mitigation in homes, and workplaces and schools reduces the likelihood of injuries, death, property damage and allows for a more rapid recovery to take place. I believed that even before February 28, 2001 by applying the unalterable Rule of Common Sense: that which does not break, need not be repaired. 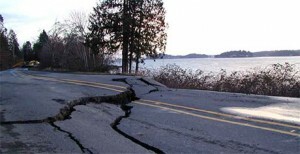 An earthquake will create enough disruption and damage and heartache and tragedy to challenge us: but we can and should attack those vulnerabilities that are in our power to mitigate. 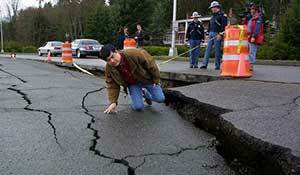 We are better at many things since the Nisqually Earthquake, but, we’re not “there” yet. And no matter what seems important as we weave our way through our daily tasks, the entire focus of our lives will change, perhaps forever when the ground under us begins to move. It seems worthwhile now, when it is relatively “quiet” to have a larger conversation, devoid of finger pointing, illuminating our current and desired state of preparedness as a society.